Berry asks Leggett to change the printed tuition amount in the catalog to forty-five dollars per term for four months. 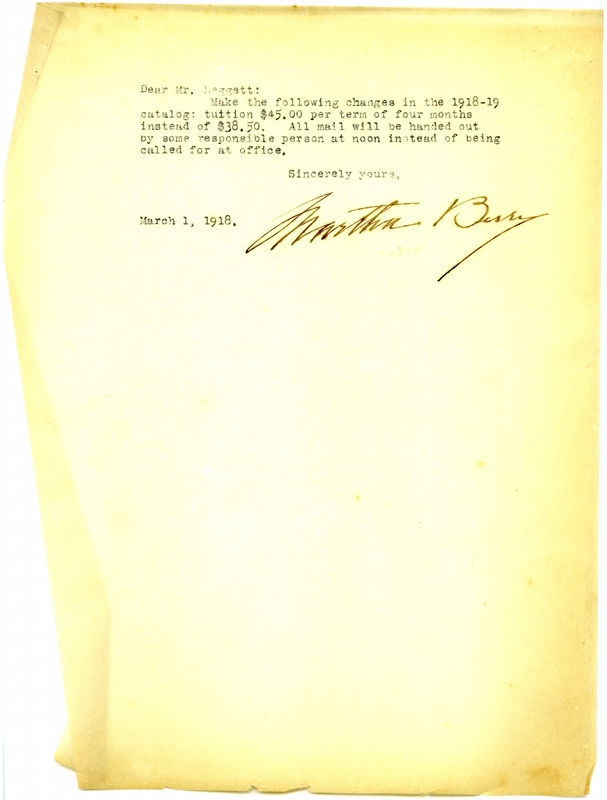 Martha Berry, “Letter to Mr. Leggett from Martha Berry.” Martha Berry Digital Archive. Eds. Schlitz, Stephanie A., Olivia Mund, Angela McCavera, et al. Mount Berry: Berry College, 2011. accessed April 23, 2019, https://mbda.berry.edu/items/show/89.